Samsung wont be alone on the market for foldable phones. Yesterday, Huawai launched the worlds fastest foldable 5G phone and the price for this awesome product is $2,600. Its a stiff price but its worth it. You can supercharge the foldable phone called Huawei Mate X for 85 percent battery time in only 30 minutes, and so far Mate X looks like a better phone than Samsungs Galaxy Fold. It is thinner with the Folcon Wing design and have a bigger screen. Samsung will start selling Galaxy Fold on April 26, while Huaweis Mate X will be on the market in the middle of 2019. Samsung and Huawai will not be the only one on the foldable market as we already know that other Chinese companies are on the way with their version of a brand new foldable phone. Huawei is a leading global provider of information and communications technology (ICT) infrastructure and smart devices and they are building a fully connected, intelligent world. The synergy with a phone and tablet unlocks future potential to enhance your life everyday. Mate X has many sophisticated cameras and incredible power. You will have more power to work on projects, watch movies and play all your favorite games. Brazil has been struggling for a while now. First of all with Dilma Rousseff and her corruption scandal involving the state-controlled oil company Petrobras. All this on top af a terrible recession. Since the Workers’ Party came to power in 2003, there has been a series of corruption scandals in Brazil. Operation Car Wash has uncovered a widening corruption scandal with dozens of political accused of paying or receiving kickbacks. Former President Luiz Inacio Lula da Silva has been named in connection with the investigation. Let`s take a look at some positive things in Brazil right now. Auto sales in Brazil jumped 39,4 percent to 189 vehicles last month. Sales rebounded for passenger cars (39 percent vs -8 percent in February). Compared to a year ago, auto sales fell 5,6 percent. Brazil had an all-time high of 420 thousand in 2012. Brazil had an all-time high trade surplus in March this year. Brazil recorded a USD 7,145 million trade surplus, which is higher than a USD 4,435 million surpluses in 2016. Exports jumped 25,6 percent YoY and imports rose at a slower 11,9 percent. Inflation in Brazil is also going the right direction. It rose by 4,76 percent in the year to February 2017, which is down from an increase of 5,35 percent in previous month. It`s also lower than a year ago at 9,39 percent. Brazil is the largest country in both South America and Latin America. Its the worlds fifth largest country by both area and population of 200,4 million citizens. Unfortunately, the unemployment rate is going the wrong direction. It reached an all-time high of 13,2 percent in the quarter ended February this year. Brazil has been the largest producer of coffee for the last 150 years. Can they fix the problems? Their economy has not been growing since 2014. The Brazilians economy shrank 2,5 percent YoY in the fourth quarter of 2016. GDP has been negative for eleven straight quarters and they face a sharp drop in both household consumption and fixed investment. You can clearly see how bad economy are going hand in hand with crime and frustration. Everybody blame each other for everything and politicians are always a target. A jump in their auto sales is music in samba ears. This week is a week for a special focus on the banks around the world. Today, I will take a closer look at the banks in Japan. Japans interest rate peaked in the 70s and 80`s at about 9%, and it went down to 6% in 1991. Then it started to fall down with the stock market. As you may know, Japan has printed tons of money and a great recovery has never happened. Japan are in a very special situation. The Bank of Japan left the interest rate unchanged at -0,1% at its December 2016 meeting, as widely expected. In addition; policy makers also decided to maintain its 10-years government bond yield target around 0% and viewed a moderate recovery trend in the economy had continued while exports has picked up. 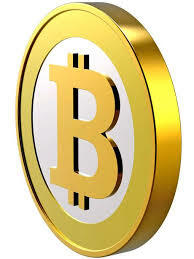 With regard to the amount of JGB`s to be purchased, the Bank will conduct buying at more or less the current pace. 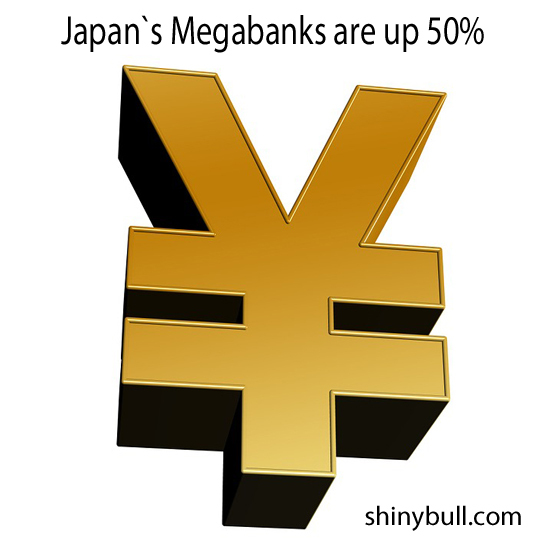 An annual pace of increase of about 80 trillion yen. The biggest banks in Japan are up about 50% since the election. On top of all this, Japan will continue with its craziness and monetize about $670 billion`s worth of bonds per year.Wow! Japan`s economy has continued its moderate recovery trend, and overseas economics have continued to grow at moderate pace, although emerging economies remain sluggish in part. In this situation exports have picked up. Prime Minister Shinzo Abe said the sales for American cars are poor, pushing back after President Donald Trump described the trade imbalance on vehicles as «unfair». Japan exported 1,6 million cars in 2015. Sales of American cars in Japan are almost non-existent, while only 19 000 cars were sold in Japan in 2015, trade minister Hiroshige Seko said. The reason for the bad sale is competition and not tariff. Despite all the noise from the U.S and Trump`s fiscal and trade policies, and a number of unclear factors like Brexit, trade deals and the global economic situation, Japan will see its economy grow in 2017 on the back of the weak yen and government steps to stimulate sluggish consumption, economists have said. They predict that 2017 will be a positive year for Japan, and the government looks to craft more measures to help boost consumption. A weaker yen against the dollar will also help boost Japanese exporters and their revenue. Shinzo Abe will meet Donald Trump in Washington 10 February this year.